Starting late next week, Readysell 8.21 will be rolling out to all Readysell 8 customers. In Readysell 8.21 we’ve put a big focus on improving the user experience by integrating a number of tidy ups, but we haven’t forgotten to push through a few new goodies as well. We’ve been focusing on improving the user experience (UX) on a number of key screens in Readysell, including sales, service, purchasing, products and card maintenance. We’ve reorganized buttons and streamlined our screen layouts to reduce clutter and improve efficiency for users. In Readysell 8.18 we introduced the ability to implement a credit card surcharge on sales in Readysell. We’ve now extended this functionality to customer account payments. You can now set an expiry date on associated products. Once the expiry date passes, your product association automatically be invalidated. We’ll even populate on the expiry date when loading “buy one get one free” offers from flyers! 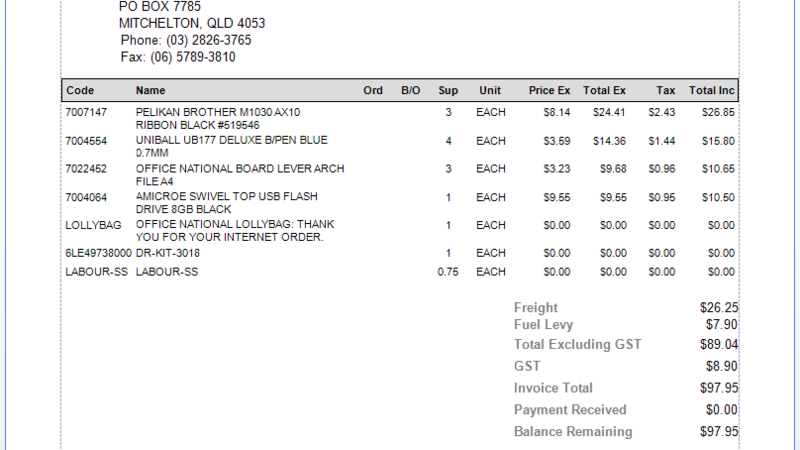 You can now mark freight charge and fuel levy products to display in a special area at the bottom of your tax invoice. 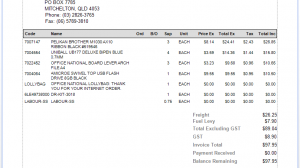 Your customers will be able to easily distinguish delivered goods from charges incurred. Just set your charge products to type “Fuel Levy” or “Freight Charge”. We’ve added the ability to exclude products from min/max update runs. This ensures you can easily maintain min/max levels on only a subset of products. Purchase runs can use criteria to allowing you to use either min/max and average weekly sales for the appropriate products. There’s yet more improvements and new features in this new version. Here’s a full list of of changes. Our documentation is in the process of being updated to reflect the new functionality. If you have any questions, please open a ticket through our Support Centre and we’ll be happy to help you out. Add a list view on the product contract class to the product history action. This is to be able to see a product with a list of all the customers that have a contract price on that product, showing all product contact entries for the current product. It filters to allow display of only active or all contract. Order Movements now displays lines for sale orders as opposed to sale shipment to improve customer reordering process. 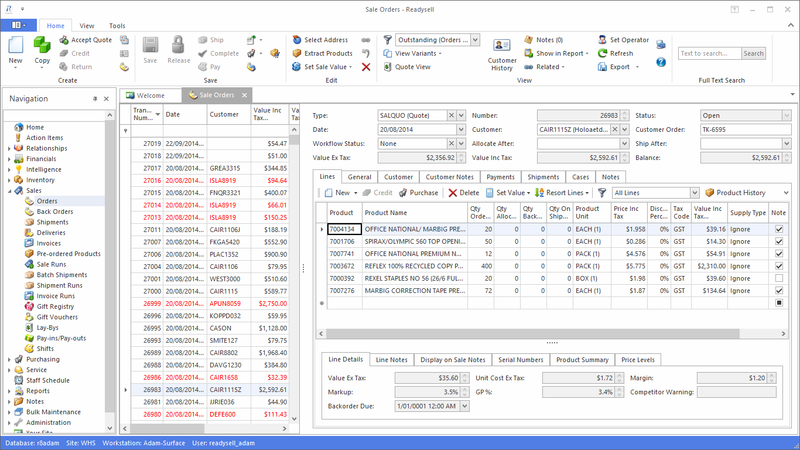 Add ‘Expected Supplier Product ID’ to purchase receipt line. When receiving goods you can now see the supplier ID code on purchase order line, there is a field called ‘Expected Supplier Product ID’. It comes from the Product Details > Suppliers tab. Sale Order now shows the kit components. Product price level now indicates if a price category is applied. Overnight email batch can now excludes Meter Charge and Service invoices from resending if needed. Stock Report (at Last Cost). Customer can view QOH, last each cost from supplier and the value on hand at last cost (i.e. : st each cost from supplier x QOH). Stock Report (at Cost and Sell). With the new stock report you can now see your QOH, cost price and sell price. Sales By Period – and all of the other buttons that are on purchase runs but not on manual PO’s. 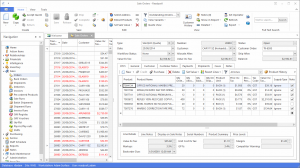 Display lists of sales lines and sales history on manual purchase order lines. Product can now be excluded from being purchased and shipped in drop shipment. Improve the behaviour of Customer Order field validation. Added extra options for customer order field validations. To print labels for products in a catalogue update. Allows customers to prints labels that are created or have updated data from a catalogue line item. Read/Write access level to custom fields such as Territory can now be controlled via permission set. Customer labels now pre-sets with a default parameter to pre-empt helpdesk requests. Optional Validation for duplicate products on a sale order. You will now receive a validation message if you have a duplicate product on sale order lines or service order lines. Automatic Warehouse now releases sale shipment when stock for sales back orders is receipted.